An adventure for the senses. Learn about herb garden design and how to cultivate and propagate herbs. 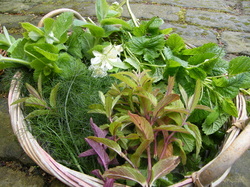 Taste and smell herbs from the garden at Fern Cottage and discover how to dry and preserve them and blend your own herbal tea.